Back in June last year, Workplace by Facebook announced the launch of Workplace for Good – a free version of the Workplace by Facebook platform for charities, educational institutions, and non-governmental organizations. Workplace for Good lets these organizations use the premium version of Workplace without paying the $3 USD per active user, per month cost. This gives nonprofits, charities, and educational institutions a dedicated space that helps them create their own community where they can stay in touch with their colleagues around the globe. Regardless of the device they’re using, Workplace for Good’s platform allows employees to ask questions, share tips, swap best practices, and much more. In this blog, we’ll talk about how Workplace for Good helps nonprofits, charities, and education institutions meld the passion for their industry with the purpose needed to succeed. Plus, we’ll look at six ways that organizations are using Workplace for Good’s unique features to connect and collaborate. Nonprofits and charities have the same challenges as any other business, and, in some ways, face even bigger ones. Staff and volunteer challenges, competition to get donor and member money, and technology and software concerns are some of the top priorities that were identified in the Nonprofit Financial Priorities Benchmark Survey of 2018. And it’s that last priority – technology and software concerns – that Workplace for Good wants to address. It’s not uncommon to see technology and software taking a backseat to other priorities. 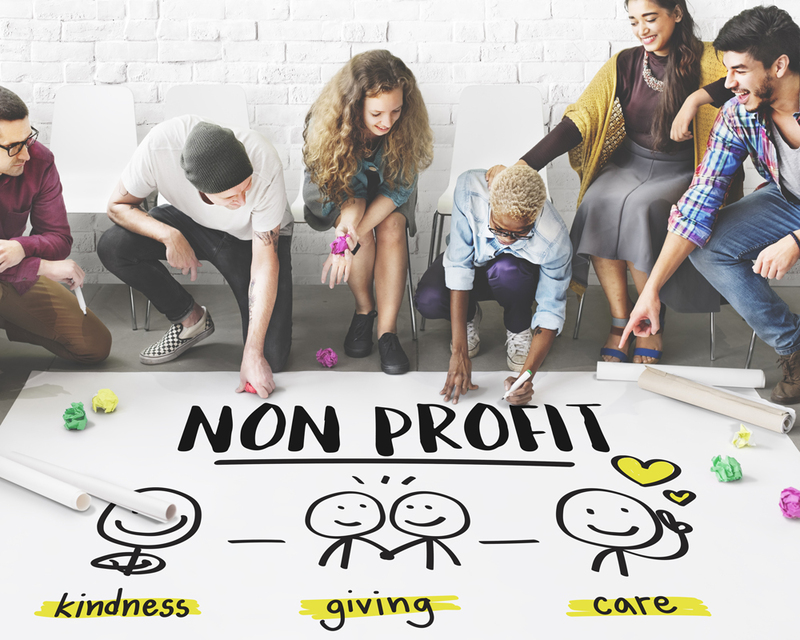 When working in a nonprofit or charity, budgets aren’t always guaranteed so nonessential things, like technology, can tend to fall by the wayside. The adage, “if it ain’t broke, don’t fix it” comes to mind – if your current technology is functioning fairly adequately, there are other things to spend money on that are a higher priority. That’s why Workplace for Good is the perfect answer. Workplace connects your team wherever you are, from whatever devices you’re using, so your team can communicate, campaign, and take action more effectively than ever. In a nutshell, with Workplace for Good, you’ll get an effective communications and collaboration platform that keeps your team connected – for free! Instant messaging and video calls help you bring next-generation technology to your frontline workers and volunteers. Multi-company groups can help keep your volunteers up to speed. Integration with your existing intranet and file-sharing tools. Live video allows for organization-wide announcements and “FYI” teaching moments. Sharing ideas. Building relationships. Learning new things. Working together. School is a place where you can do all of these, and more. And Workplace for Good lets educators, staff, and even students collaborate with one another and share best practices across campuses, regardless of location – for free. Post photos and videos that help you bring your bright ideas to life. Build close-knit communities that aren’t limited by physical geography. Instant messaging spreads news with just a few strokes of the keyboard. Access integrated applications, like payroll or timetables, from your desktop or mobile platform. Run weekly Live broadcasts to keep colleagues or students informed. It Gets Better uses Workplace’s HD video chat to hold weekly meetings to get important updates out to its global affiliate network in over 20 countries with 500 people. The HD video chat is an easy way to share updates with everyone and helps helps the team connected. Vision India Foundation uses a Workplace Group to keep 5,000 alumni and volunteers up to date with campaign news. Having everybody together on Workplace, sharing news and updates, has helped the charity lower organizational costs and cut time spent in meetings. Australian Catholic University’s National Sustainability Manager posted a message about disposable coffee cups on his News Feed. This message was seen, shared and commented on by hundreds of staff members, resulting in a campaign that cut plastic consumption on campus. Oxfam’s OxBot was created to demystify industry jargon. OxBot tells employees what specific acronyms mean, and even provides a link to other internal sources of information if they want to know more. For RNIB, Workplace’s pioneering efforts to make the platform more accessible for people with disabilities has resulted in screen-reading tools for the 20% of the workforce that is visually impaired. Workplace for Good for Your Organization – Get Started! Are you looking for a dedicated space that will help you keep everyone in your organization on the same page? Want to simplify how your staff, volunteers, and interns stay in touch, regardless of where they are in the world? Want something that can be used on any device, be it a laptop, tablet, or phone? Then you need to check out Workplace for Good. And, at LineZero, we can help!